Single-hood is a very sensitive time in anyone’s life. Many singles are unsure, some are clueless as to how to live this phase of their lives, while others are ignorant of the lies and tricks the enemy sells them in a bid to distract them from God’s purpose and plan. Live a great, purpose full single life. Recognize God’s will for you. Draw grace to wait on and for God. Avoid time wasting and time wasters. Handle courtship according to God’s design. In this book, you will find that you can enjoy life while you are single, knowing that your miracle is within your reach. 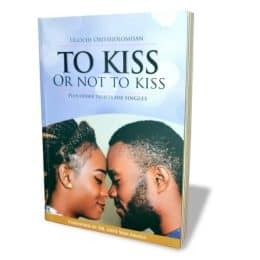 Available in Lagos Nigeria for now, coming to AMAZON soon. This book is a blessing for singles and those who love and influence them!